Reflective Data Platform has a built-in advanced segmentation system. You can segment by device, browser, geolocation and more. 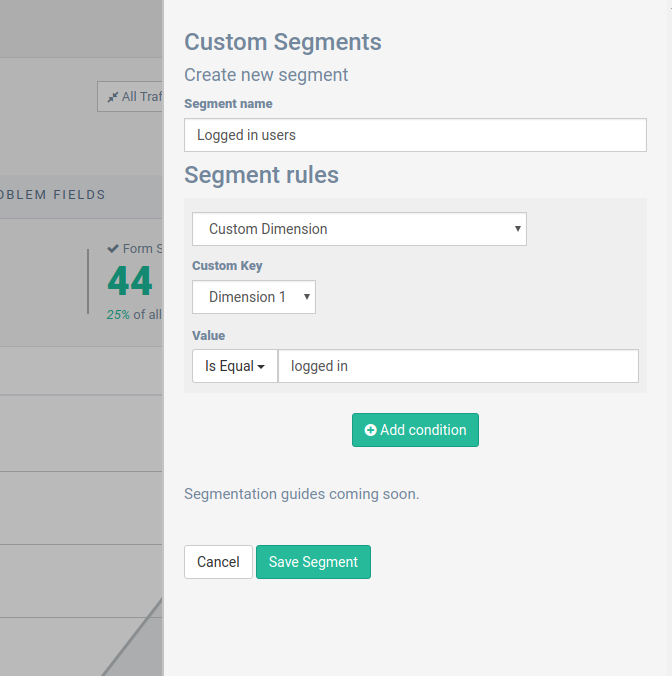 You can even define your own criteriums by using custom dimensions.